How to start a t-shirt business and make passive income (especially for artists, illustrators & designers) - CreatingBeautifully.com - start and grow an online business you love! How to start a t-shirt business and make passive income (especially for artists, illustrators & designers) - CreatingBeautifully.com - start and grow an online business you love! Ahh, passive income! It seems to be the Holy Grail of online business success lately. Everybody wants it, but many just aren’t sure how to create it. Well, if you’re an artist, illustrator, or designer I’m going to show you one way you can start making (almost 100%) passive income in just 6 steps. You might be surprised how easy it is to start a t-shirt business and make passive income in your spare time! 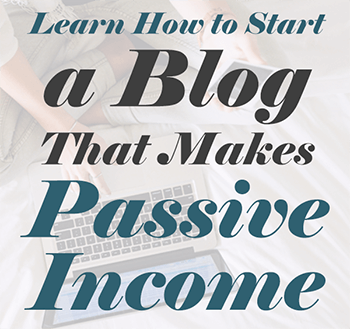 But first I want to go over my definition, or understanding, of passive income. Because it kind of varies from one person to another, and so many people are pretty confused about it. So how can you make passive income with t-shirts? One (hyphenated) word: drop-shippers. There are companies that will print your designs on t-shirts and mail them directly to your customers for you. And with the right shop set-up, the orders go directly to that company (but the money is deposited in your account) for a hands-off order system. It’s pretty awesome! It’s a lot of little things, that don’t take up a lot of time! So it’s perfect for someone with an existing business or a 9 to 5 job. So, what do you need to start a t-shirt business and start making passive income? Before you jump into starting your shop, I would suggest you have at least 5-10 t-shirt design ideas. I wanted to start a tee business for a couple of years, so anytime I had a new idea for a t-shirt, I would add it to a Note in my phone. So by the time I started, I had around 200 niched ideas – most of which were text-based. You don’t need that many, but you should have enough so that when you open your shop, there are more than one or two items. And, as the saying goes, if you try to please everybody, you end up pleasing nobody. Your designs and ideas for your t-shirts should be branded, and target a niche market. I mentioned that my own t-shirt business only takes me about 30-60 minutes a day. But in the beginning, I had to put more time into it: setting up my shop, creating a logo, learning how to work with mockups, joining Printful, etc. Depending on how tech savvy you are, and how simple or complex your t-shirt designs are, I would guess you’ll need about 10-30 hours to get everything set up in the beginning, so that, other than creating new items, adding them to your shop (which takes 5-10 minutes, max) and promoting, your new t-shirt business will be creating nearly 100% passive income. First and foremost: their product generator app! Printful has an app that basically connects your account with them to your account with Shopify. Now, this isn’t unique to Printful: several other similar companies have the same thing. But Printful’s makes it SOOOO easy! I can literally have a new product in my shop in mere minutes, and from then on it’s totally hands off! When an order comes in through Shopify, it goes right to Printful and they print, pack, and ship the order – with your label – and send out a shipping notification (with tracking info). It’s pretty magical! I also love that you can sign up for Printful for free, and order discount samples. You can check out the quality of what you’ll be selling before you even get started – for a discounted price! They also offer white labeling services, free mockups, and more. You even set your own profit margins (unlike some other POD sites). They also print a whole lot more than just t-shirts (like other clothes – sweatshirts, tank tops, dresses, etc., as well as phone covers, wall art on paper and canvas, mugs, totes, pillows and more.) So if you want to add different products to your shop, it’s a breeze! So, now that I’m done sounding like a commercial for Printful (I honestly do love them!) I will say that the one thing that I’m not always happy about is production time. It seems like they take a bit longer than they say they will, in many cases. So I decided that if Printful says it will take 2-7 business days to create a t-shirt, in my shop I say it will take 3-10 business days, to add a buffer for customer expectations, just in case. I also make sure I add even more of a buffer around the holidays. I like to suggest that you have your 5-10 designs and a Printful account before you set up your Shopify shop, because they offer you a free 14 day trial, and I want your shop to be up and running well before that 14th day, and maybe even have a sale or two before you’re ever charged for it! 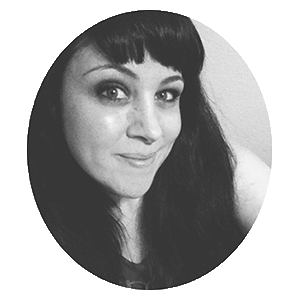 But opening a Shopify shop is fairly easy, especially if you are even slightly tech-y. You start by entering your email address, choosing a name for your shop, and creating a password. You don’t even need a credit card to begin. From there Shopify walks you through all that you need to do: from setting up your account information, to choosing a theme for your shop (they offer several free themes, and some paid themes, as well), and beyond. But one of the very first things you’ll want to do once you’ve signed in is to visit the Shopify App store and get the Printful app. Once connected, you simply log back into Printful and start uploading new products by visiting your dashboard, clicking on “stores” where your Shopify store will be linked, and then clicking “add” to add your new product(s). I also like these mockups over Printful‘s for use when promoting my tees on places like Pinterest (my favorite! And #1 traffic source), Instagram, Facebook, and beyond. The mockups are way more eye-catching. Your Shopify shop will remain behind a password protected page until you’re ready to launch, but once you do, it’s time to start promoting it! Once your Shopify shop is ready to open, that’s when the work of promoting begins! You can share your new business on your personal Facebook feed to get your friends and family excited and on board, as well as places like Pinterest, Instagram, Twitter, etc. Another good thing to note here is SEO, or Search Engine Optimization. Be sure that you’re creating a keyword-rich description and title for each t-shirt, adding relevant keywords and tags to all of your product listings, and that you add “alt” descriptions for each and every product image (including all the different color mockup images that Printful supplies, as well as your own mockups). Because getting found on Google (or other search engines) is super important, too! Good things take time. And starting a t-shirt business to create a passive income stream is no different. Be sure to give it time to grow. Your SEO will take a while to kick in, and your pins on Pinterest will build traffic over time, not necessarily overnight. But if you stick with it, you can build passive income that can potentially grow and grow, over time. Have any questions for me about how to start a t-shirt business and make passive income? Ask away in the comments below! What program do you use to creat your digital designs? I use Photoshop, but I have heard of others using Canva and/or PicMonkey. I am really intrigued by this idea! As a stay at home mom, I am always interested in learning about new ways to make money at home. This seems like a fun way! What did you use to set up business license and are you a sole proprietor, LLC, or something else? Setting up a business license is a bit different, depending on where you are. And whether someone starts as a sole proprietor, LLC, etc. would definitely depend on what kind of business they’re starting and what they make or sell.